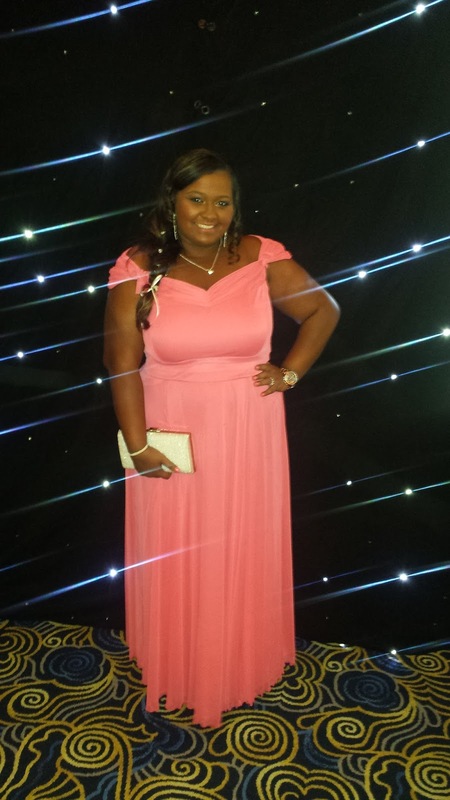 The British Plus Size Awards on the 21st of November at the Radisson Blu Portman Hotel in London was a rather glam affair. The red carpet was adorned with beautiful gowns and cocktail dresses and the lads even pulled out all the stops too. My dress was a custom made design by +Scarlett Jo. An off the shoulder empire line gown with sweetheart neckline in a beautiful coral colour that doesn't often get seen in the S&J repertoire. I am so grateful to Gifi, Alice and the rest of the team for taking the time to make my dress. It made me feel elegant and was complimented many times. There were so many other gorgeous outfits but these were my faves.